Since its founding as a mixed voice choir in 1971, the Choir of Clare College, Cambridge has gained an international reputation as one of the leading university choral groups in the world. In addition to its primary function of leading services three times a week in the College chapel, the choir keeps an active schedule recording, broadcasting, and performing throughout the UK and the world. Under the direction of internationally acclaimed composer and conductor Graham Ross, the choir has toured widely, including in Europe, the United States, Japan, China, Russia, and the Middle East. In 2000 it became the first Oxbridge mixed choir to perform at the BBC Proms, singing Bach’s St John Passion. 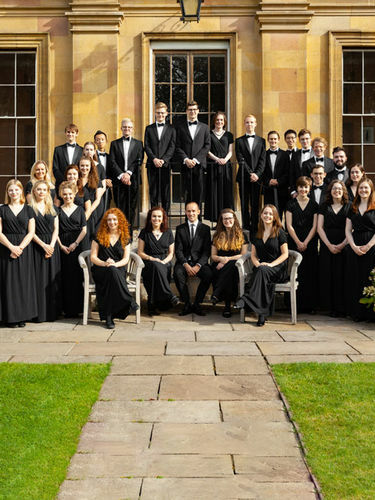 We’ve hosted the Choir of Clare College on two previous occasions – and we’re very pleased to welcome them back, this time performing classical and contemporary choral music.